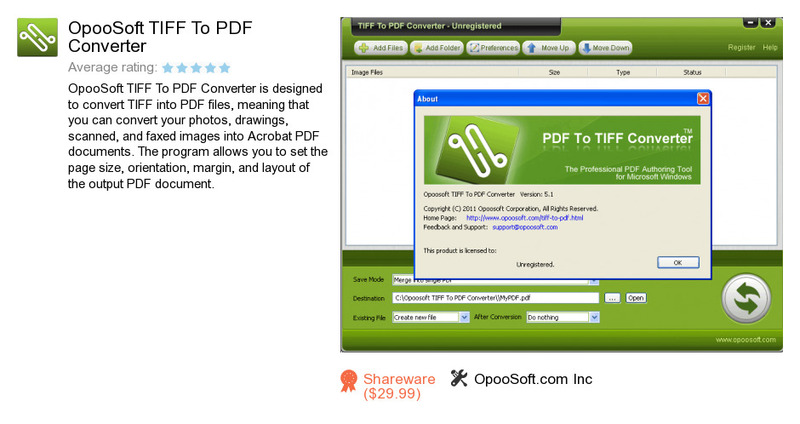 OpooSoft TIFF To PDF Converter is a product developed by OpooSoft.com Inc. We know of versions 6.8, 6.6, 6.2, 6.1, 5.1, 5.0. Version 6.8 is available for free download at our site. OpooSoft TIFF To PDF Converter distributive has a size of 1,333,729 bytes. OpooSoft.com Inc also publishes OpooSoft PDF To GIF Converter and OpooSoft JPEG To PDF Converter.